A little more spring cleaning around our house this weekend, mostly prompted by my husband cleaning out his closet. 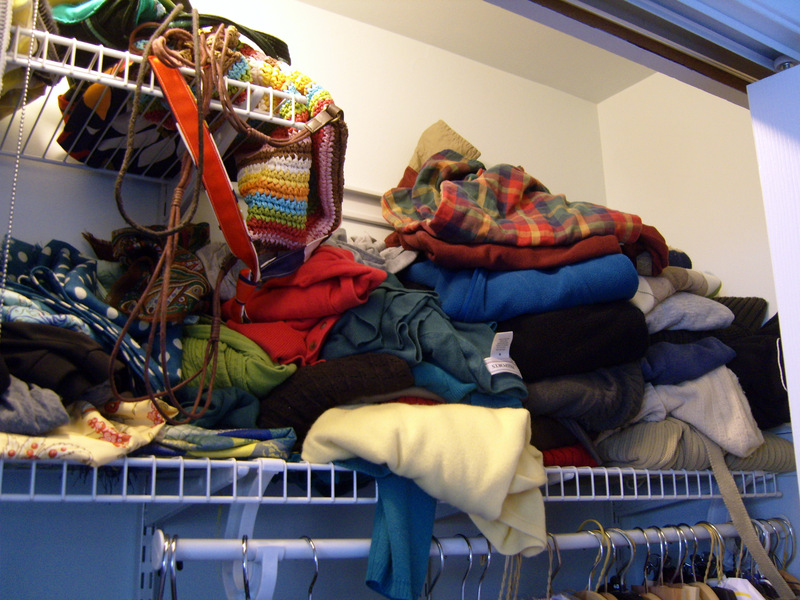 I got on board today, finally, and organized my stuff–the toppling stacks of sweaters, the dangling straps of extra purses and the stuff that doesn’t even belong in that closet have all been sorted, tidied and put away. I find that a little organizing begets a little more…so I found myself sorting through the shoes that had multiplied in the hall closet (people have been wearing boots one day and sandals the next). I put away the winter boots and all the slippers that the kids aren’t wearing anymore. I even recycled a bunch of magazines from the basket in our bedroom. We have a new pile of things to donate, but it’s all bagged up and waiting for the next Amvets pick up. In the meantime, I just might find a few more things to add to it. I wish for a vacuum on every floor every single day, but like you I don’t really have the storage for it. Our vacuum’s home is actually in the basement, but it rarely makes it there. It usually just stays where ever I used it last. 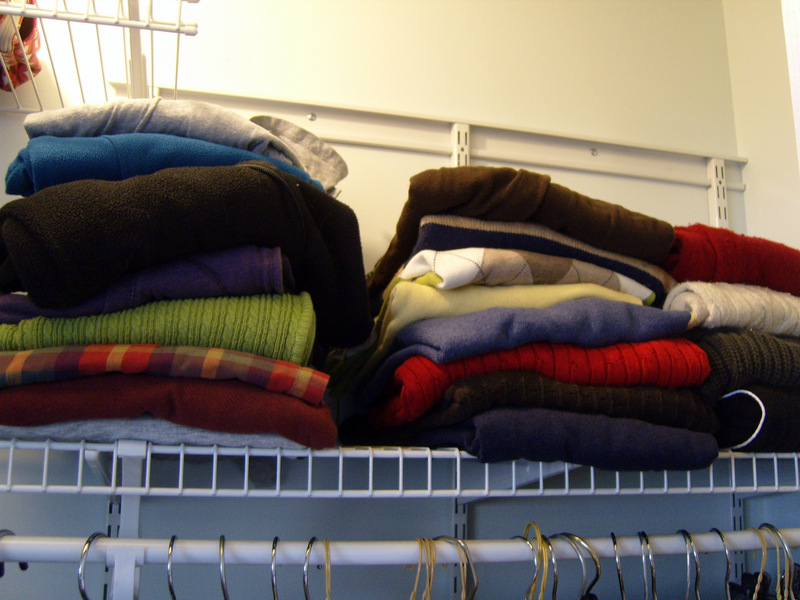 A little straightening and what an improvement for your closet. That’s great! I am sorely tempted to get another hand vac to keep upstairs–so much easier to keep the bathrooms swept. We tried keeping a hand vac on the second floor but it was useless. I really do not like dragging our “main” vacuum up and down those stairs, too! I keep hearing about these AmVets pick-ups and I am green with envy! Instead I drive around for three to five weeks with hefty bags in the van!